If you are buying a property within golf community there are a lot of things you need to think about. To start with, you need to know whether this golf community is gated. This is very important to a lot of buyers, as safety has become a national issue. 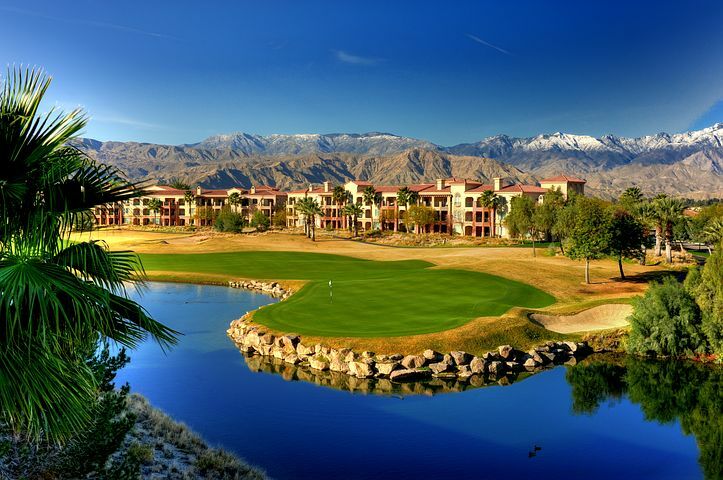 Several golfing communities are private and it is most likely that the one you are considering is both gated & private. Nonetheless, give these criteria a top priority if you want to enjoy the money that you are spending to reside in a golf community. This kind of community is perfect for everyone who loves to get out there and golf on a daily basis. Reports show that young families, as well as the retired population, generally are who seek this type of home; and of course, players. Folks look for golf communities to get easy access to the sport they love. Enthusiastic golfers can take full advantage of these communities to allow them to reside on the golf course year-round. This will be beneficial for anyone who is unable to have enough time for sports if they have to travel to play them. Golf Communities generally have amazing landscape designs. Everything close to you is full of green and flowers. You can feel relaxed whenever you return to your home especially if you are working in a stressful environment. An important thing that has to be on the checklist is whether the golf community you are considering has all the amenities that you require. These could incorporate golf programs, indoor as well as outdoor private pools, tennis courts, spas, restaurants, and lot more. Nowadays some golf communities are even proving facilities such as a church, shops, movies and more inside their gates. The area is yet another essential aspect that you should not overlook. Is your golf community near to your workplace, colleges, schools, universities, hospitals, and shopping malls? You may want to live in a golf community, which is very near to the city. You must understand what your needs are and what you are looking for! Price is an essential factor when buying your home in Golf community. Will you be able to pay all the expenses towards the purchase of your home? Whether it is in the form of installment or as a lump sum amount. You will definitely have your favorite sport at hand and a good surrounding to live in. Nevertheless, can you maintain your monthly obligations, considering you may have other financial commitments like a home loan and other costs? Most golf communities have what is called a CDD (Community Development District) fee. Sometimes it can be included in the yearly taxes. You should be extremely careful while agreeing their terms and conditions in some instances. In case you are a person who does not love restrictions then you must try to find golf communities with satisfactory regulations and rules. These items are important and they can maintain the standard of atmosphere for residents so that property maintains its value through the years. The greatest thing that any golf community wants to offer to its residents is the stress-free life doing what you love. This means providing owners everything that will make their life more relaxed and simple. Therefore, if it requires them to provide the gated golf community, which offers shopping, restaurants, activities, etc. Many Financial institutions and banks have started opening their small branches in these golf communities! In Florida, and other states some of the golf communities are like tiny cities and you don’t even have to leave the gates unless you work on the ‘outside’. Irrespective of whether you are a golf player or not, you may still want to live in a golf community. This is because here you will discover the beauty of nature, chirping birds, as well as peacefulness because you will be living in nature. You will like it even more, in case you are a golf player or a golf lover. People come here to unwind during the weekend and return back with more energy and peace of mind. A lot of retired people buy houses in these communities for a permanent residence as this is what every retired golf lover is looking for.